While we were chatting about Anime North, I found out that the Naked Prince Katamari plush that little Maya is hugging was made by my friend whitefrosty! What a funny small world! 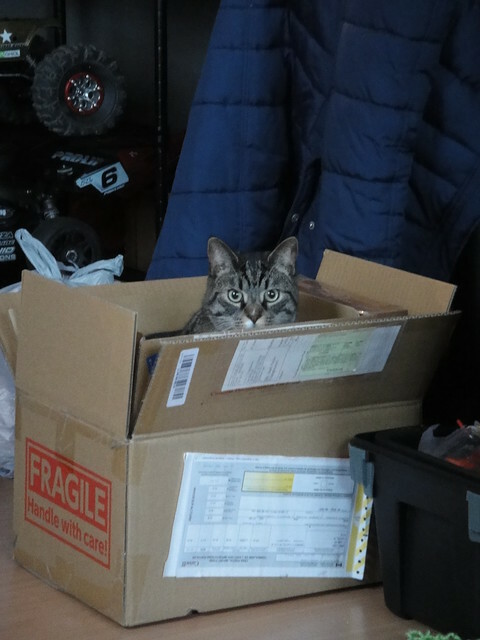 Here’s the adorable MoMo claiming a box as her own. 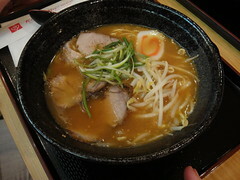 Afterwards, we were joined by Sam and one of his co-workers and we went downtown for ramen! It was so good, and totally hit the spot on a cold winter evening! I didn’t want to risk any of my girls face-planting into a bowl of ramen so I didn’t take them out – but here’s a couple shots of our delicious dinners! 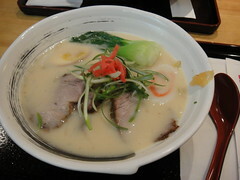 I had the tonkatsu ramen and the pork bone broth was delicious – smooth and almost milky, just how it should be. Kev and I had a lot of fun and can’t wait to take some other dolls out on another local outing! 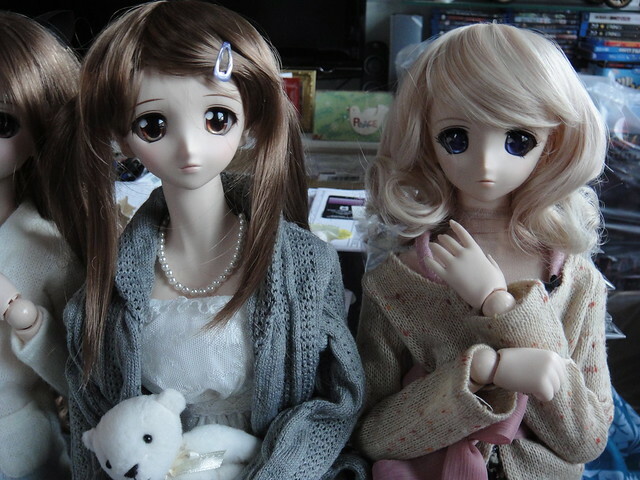 This entry was posted in Doll Meetup, Dollfie Dream and tagged Dollfie Dream, PlasticFantastic, Toronto by archangeli. Bookmark the permalink.